Have you ever wondered what it would be like to take your car on track? With no speed cameras to slow you down you could really unleash the potential of your car in a relatively safe and controlled environment. David Hornsey has coached on countless track events with all skill and experience levels, from teaching a driver how to use a manual gearbox before giving them the skills to try drifting, to taking novice drivers for their first track experience and to taking experience track day drivers and refining and honing their techniques the breadth of experience is endless. 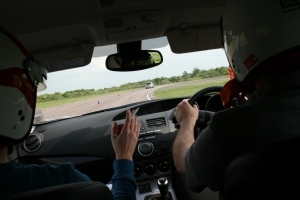 For trackday tuition David can offer any thing from a day at your local circuit to experience track driving for the first time or hone or refine a technique or skill through to a dedicated program over a number of events to develop and cultivate your track driving skill set. David can also offer advice on vehicle setup, maintenance and track biased modifications to get the maximum enjoyment out of your track activity. If you want to go on track in your own car, contact David on dhmotorsport@hotmail.com or 07899 841720. David has also guided many students into racing and worked with many current racers to improve aspects of their driving, learn new tracks or techniques and help hone and refine their skills. We can offer a single day of coaching to focus on one or two aspects of your performance or learn a new track all the way up to an intensive ‘Go-Racing’ course where we will take you through every step of the process from passing your Association of Racing Driver Schools License test through to advice on finding a team and a car, what series to run in to best suit your goals and taking you all the way to your first races and beyond. With David’s intimate knowledge of motorsport both from a competitors and an organisers point of view, he can give you unrivaled expertise and experience to help achieve your racing ambitions.